Britain's Vodafone PLC has launched a takeover bid for Germany's biggest cable operator, Kabel Deutschland, as part of its push to dominate media services in its biggest market. Vodafone, a British cellphone company with wide international interests, confirmed Monday it will offer 87 euros per share for Kabel Deutschland. The deal values the German company at 7.7 billion euros ($10.2 billion), but when including 3 billion euros in net debt, the total value is 10.7 billion euros. Vodafone Group Chief Executive Vittorio Colao said the combination comes amid growth in German demand for fast broadband and data services. "The combination of Vodafone Germany and Kabel Deutschland will greatly enhance our offerings in response to those needs and is consistent with Vodafone's broader strategy of providing unified communications services." Kabel Deutschland Holding AG, which has more than 8 million customers, said that its management and supervisory boards "welcome this announcement." Kabel Deutschland shares were up 1.7 percent in midday Frankfurt trading at 85.52 euros. Vodafone made a preliminary approach to Kabel Deutschland earlier this month. That was followed by a preliminary takeover proposal from U.S. rival Liberty Global. Though the reaction of the markets appeared to suggest the price was in line with expectations, analysts like Keith Bowman offered a note of caution, wary of Vodafone's track record on mergers. In 2000, the company took over Mannesmann AG in a stock-swap deal valued at $180 billion—at the time, the largest corporate merger ever—a price many analysts believed overvauled the German company. "Vodafone's European acquisition track record is not great, still marred somewhat by its previous over payment for Germany's Mannesmann, whilst rival cable group Liberty Global could still look to bid for Kabel," Bowman said in a statement that followed the announcement. Bowman also noted that another element of uncertainty comes from Vodafone's tussle with Verizon Communications Inc., the New York-based company. Vodafone and Verizon together own Verizon Wireless, the largest cellphone carrier in the U.S. and a very profitable operation. Verizon Wireless once had a policy of using its cash to pay down debt—a policy that ended only in January. 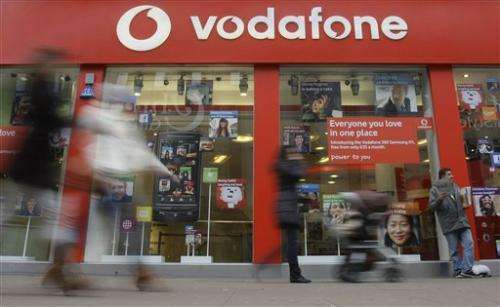 Analysts saw that debt reduction strategy as a way to squeeze Vodafone and persuade it to sell its 45 percent stake. New York-based Verizon Communications owns the other 55 percent of Verizon Wireless and controls its operations. "The deal comes at a time when the exact future of its US Verizon business is still up in the air," Bowman said, adding that economic "prospects for Europe continue to remain challenging." Ronald Klingebiel, a Warwick University professor who has consulted for the telecoms industry, said mobile companies like Vodafone increasingly pursue "multi-play strategies," to give customers broadband, fixed and mobile telephone lines and television. But he said that Vodafone may have approached Kabel Deutschland because its present systems, which rely on Deutsche Telekom's fixed-line system are running at capacity. "Deutsche Telekom is struggling to upgrade its network with vectoring technology, something that will increase its control over competitive data traffic," he said. "This may have convinced the Vodafone leadership to buy into Kabel Deutschland, a high-capacity cable-network provider, whom they had already approached at other times without concluding a deal."